This is not a drill — this did really happen to kids I know. And now that we have been through it, I’d like to share what I learned from this experience, because it could possibly save a kid’s life. 1. Tell your teen: If they see something like this, they need to tell you. You would think that this would be a given, but it’s not. Our teens are deluged with so many things online that often, not everything registers as being important. Frequently, posts on social media are coated with a veneer of drama, self-awareness, and irony — just like IRL, teens want to convey to themselves and each other that they don’t take any of this too seriously. Please, sit your kid down and speak to them to talk about the possibility that they will see someone post something like this. And tell them that if they ever see anything like this, they need to tell you, no matter who the kid is, no matter what the kid is like — basically, no matter what. And they need to tell you immediately. And don’t ever think,“Well, I don’t have to have this conversation, because this would never happen to me/my kid/my kid’s friends.” Because you are wrong. 2. If your kid tells you something like this, you are in lifesaver mode. Let’s say your own kid is in a life-or-death situation – anaphylaxis from allergies, for example. You wouldn’t be doing an Instagram Live of yourself going for the EpiPen. Similarly, this situation is not about you: This is about addressing the situation in as discreet and quick a way as possible. If you’re shy or awkward, too bad. If you already know the parents, reach out to them immediately and do not stop until you have actually made contact with them. If you don’t know the parents, the same rules apply, but try to do it as quickly and discreetly as possible. Don’t post on their Facebook wall, for example — but you can look on Facebook to see who your mutual friends are and if you can reach anyone who can give you the parents’ cell numbers immediately. Share the details with as few people as possible. This is not only potentially a matter of life and death, but it is also something that is deeply, deeply personal. You want to avoid the horrifying outcome of a suicide — but you also want to avoid embarrassing people, gossip, or making anyone feel uncomfortable. 3. Once you have made contact with the family, make sure you sit down and make contact with your kid. Tell your kid how great it is that they came to you and told you. In doing so, make it clear that even if they “don’t think the kid would ACTUALLY do something,” posting something like that on social media is clearly a cry for help, whether with suicidal ideation or depression or just plain garden-variety loneliness — and thanks to your kid’s having reporting it, now that cry can be answered. 4. It’s not over when it’s over. It’s important to talk about and understand your kid’s feelings after something like this happens. Be a good listener. For all the good that Dear Evan Hansen put into the world, the fact is that suicide makes a mark on the impressionable mind of a teenager, whose brain is developing and who is in the throes of hormones and impulsivity. 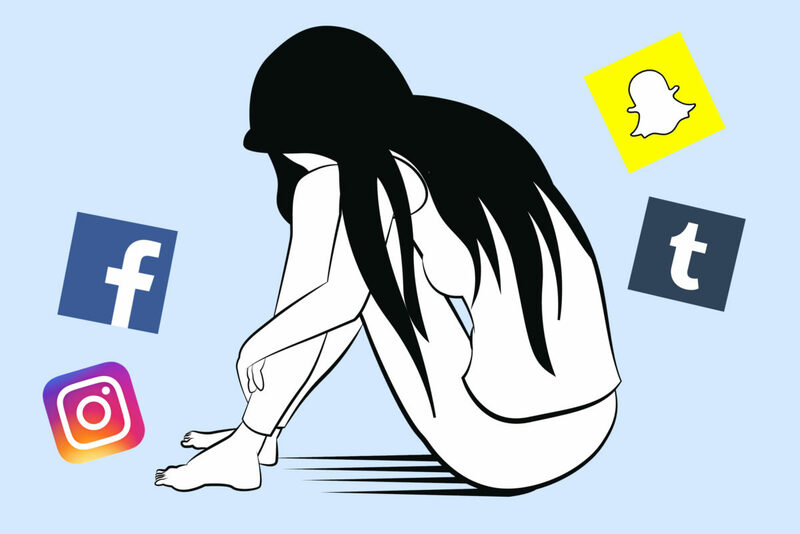 Studies have shown a clear correlation between social media usage and depression. Suicides among girls ages 15 to 19 doubled from 2007 to 2015, when it reached its highest point in 40 years. The suicide rate for boys ages 15 to 19 grew by 30 percent from 2007 to 2015. But discussing suicide with your teenager doesn’t “put the idea in their head”— what it does do is set you up as a person with whom they can discuss anything, no matter how upsetting. Basically, we live in a world where the risk of suicide is very high — and where it is important to heed every warning call and respond to it. In school, we teach our kids to get the “right answer” — but in a situation like this, the most important thing is not whether we were “right” about whether the child would “really” commit suicide, but the most important thing is to make sure that we throw a lifeline to someone who, in that moment, desperately needs one. If you are in crisis, call the toll-free National Suicide Prevention Lifeline at 1-800-273-TALK (8255), available 24 hours a day, 7 days a week. The service is available to anyone. All calls are confidential. This post is part of the Here.Now. series, which seeks to destigmatize mental health, and is made possible by UJA-Federation of New York and The Jewish Board. You can find other educational mental health resources here.